Brought to my attention by a few users, aparently the profile customisation, such as the avatar, the profile info and the profile-background, were restricted to the moderators and admins. 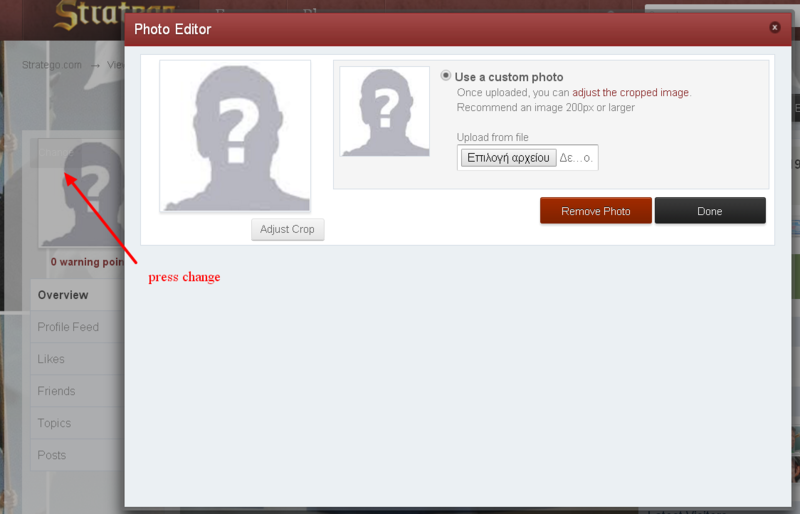 I changed the permissions, allowing everyone to set their own avatar. If you think someone is violating these rules, report them to the moderators or admins and we will act accordingly. That being said, I hope we do not need these rules, because customisation should be fun! Applauds for revolutionary decision ! Edited by IsmailUfukBuyukozkaya, 20 October 2015 - 03:57 PM. karaiskais i cant see your Picture man. Edited by IsmailUfukBuyukozkaya, 20 October 2015 - 04:28 PM. One of our devs fixed it! Nice that this can be customised now, I never thought of it out of the ordinary that it was staff only before but never mind that. Nice to see this updated! Removed my Spy avatar, but have nothing now, pity. Edited by Black Widow, 20 October 2015 - 07:03 PM. You'll have to crop the pictures. An idea is if you wish to use a personal picture of yourself take one where there is a huge background you then shrink/crop the picture to only include yourself. You may have to play around with pictures to get it to work, but the picture of Captain Obvious I have here was much bigger picture but I just cropped his head so it would fit. But i cant import first. then i crop? Then you can use the URL for an easy avatar! img.ur -imgur- doesnt accept my uploads.. Someone can upload there my Picture please? Paste the link in your avatar and it is done! I cant believe it.. Forum is against me..
And ıt says zero attachments 500 kb quota is full empty. This must be mystery or some kind of curse of pharoh..
Maybe the changes which admins made in the avatar of a simple forum member have a defect.